Main research areas and research projects of the of the funding programme "Plastics in the environment". Plastic in the environment is a global problem that is particularly visible in a growing volume of plastic waste in the sea. The German Federal Ministry of Education and Research (BMBF) has set up a major research focus to investigate the extent of the problem in more detail and to develop approaches to reducing it. Until 2021, a total of 18 joint projects with more than 100 institutions from science, industry, and practice will be funded with 35 million euros in one of the world's largest research programmes on plastics to date. In addition to the main areas of work, the authors of the Ecologic Institute examines the research projects in more detail. Knoblauch, Doris et. al. 2018: Dem Plastik auf der Spur. 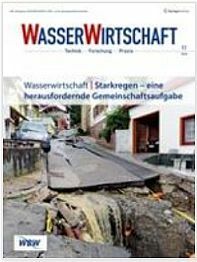 In: WasserWirtschaft 2018, 11, 80-82.